Italy-based Valagro SpA, a company specialising in the production and commercialisation of biostimulants and specialty nutrients, has acquired a controlling equity stake in Sri Biotech Laboratories India Ltd, a Hyderabad-based multidisciplinary agri biotechnology company, according to a statement. Financial terms of the deal, however, have not been disclosed but a transaction note added that the firm's private investor Rabo Equity Advisors or Rabo PE, has exited in this deal. 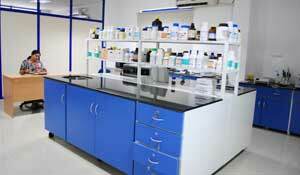 VCCircle was the first to report that Sri Biotech is scouting for strategic investors to help it expand outside India. The acquisition of Sri Biotech, which develops biological alternatives for pest, weed and disease control in agriculture, also marks entry of the Italian firm into the biological pesticide sector. Rabo PE managed India Agri Business Fund had invested Rs 45 crore ($9 million then) in Sri Biotech for a minority stake in 2009. An email sent to Rabo Equity's spokesperson for comments and further information on the aforesaid development did not elicit any response by the time of filing this article. This is the second full exit by Rabo PE after it exited National Collateral Management Services Ltd by selling entire stake to Fairfax. It had also part exited Prabhat Dairy in its IPO. “With SriBio, we gain access to new market segments, such as bio-control, and new technologies, such as fermentation, which will allow us to develop new products, enhance existing ones and strengthen our role in the world scenario. Besides opening the doors to the Indian market, it also provide us with a production and logistics platform for Asia, enabling us to expand our presence in a strategic geographical area for us,” Giuseppe Natale, Group CEO Valagro, said. Founded in 1980, Valagro develops solutions to enhance food production and improve nutritional quality and has over 20 product lines (biostimulants, micronutrients and water-soluble nutrients). It has sales network in over 80 countries. The acquisition of SriBio is, to date, the largest transaction completed by Valagro and one of the most significant investments in 2015 by an Italian company in India. Founded 1994, Sri Biotech is an agri-biotech company and manufactures and sells organic agri inputs (biological and bio-organics), used for crop protection or improvement. Besides, the company sells enriched manure, micronutrients and seeds. The company has two manufacturing facilities in Hyderabad and Guntur and serves more than 10 million farmers in 13 Indian states. o3 Capital acted as the exclusive advisor on the transaction.